9. 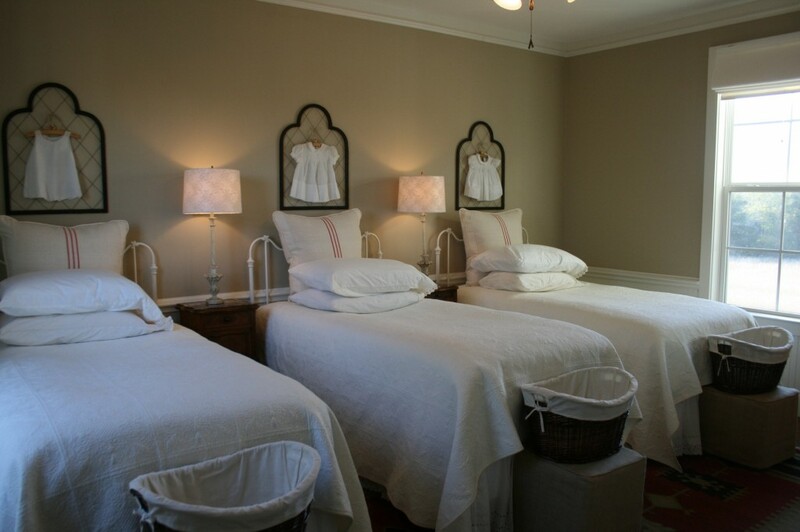 New open baskets at the end of a bed to hold linens. I hope that gave you some ideas on how you can use baskets in your home. 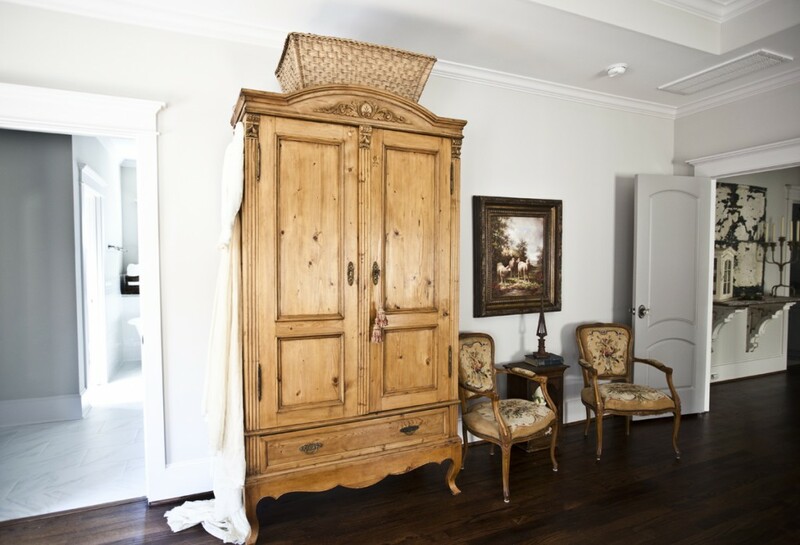 I thnk they add a nice touch of Farmhouse French to any home. 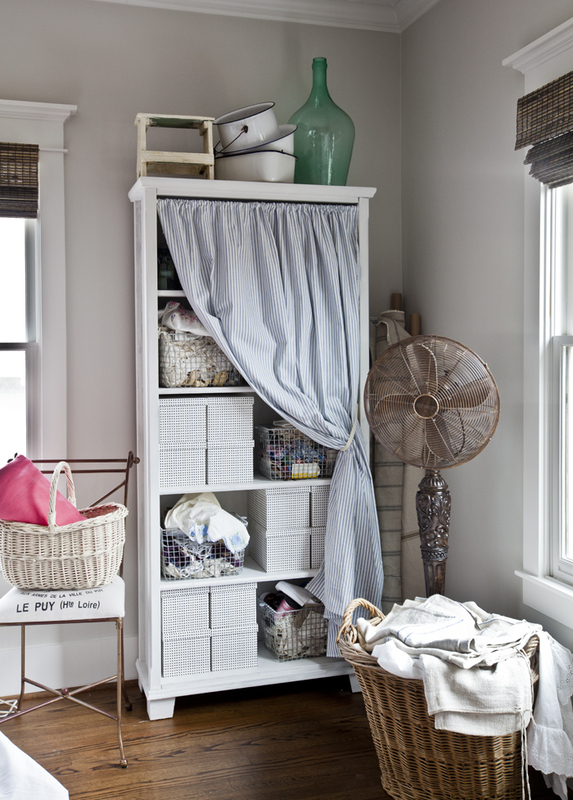 How do you use baskets in your home? Great assemblage, Anita. I agree with you on preferring the box baskets over Easter type. I also use baskets for utensils rolled in napkins, ready & at the go for food buffets; corralling toiletries & hand towels in the bath, and also for storing recyclable newspapers/magazines in the sunroom. In our bedroom recently and it looks great. The basket now stores some of my best decorating items that I continue to acquire. 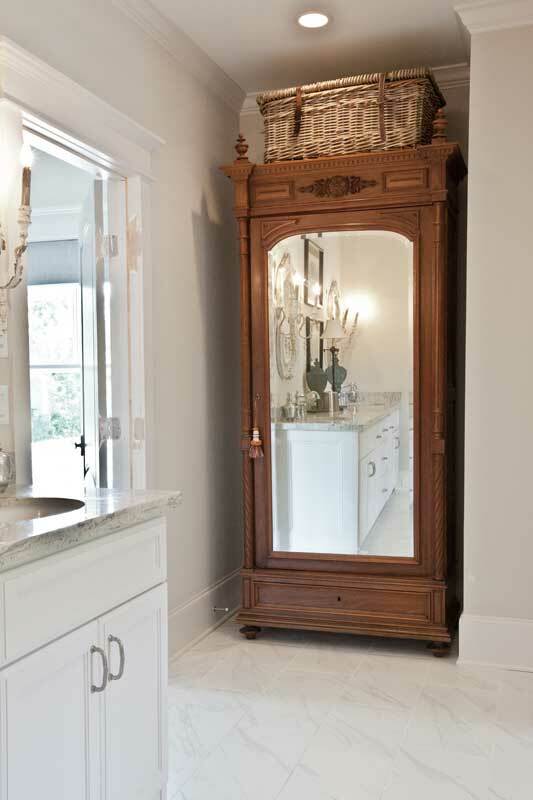 I love to use baskets as well but I do feel that the ones on top of your beautiful pieces of furniture actually detract from the pieces themselves. 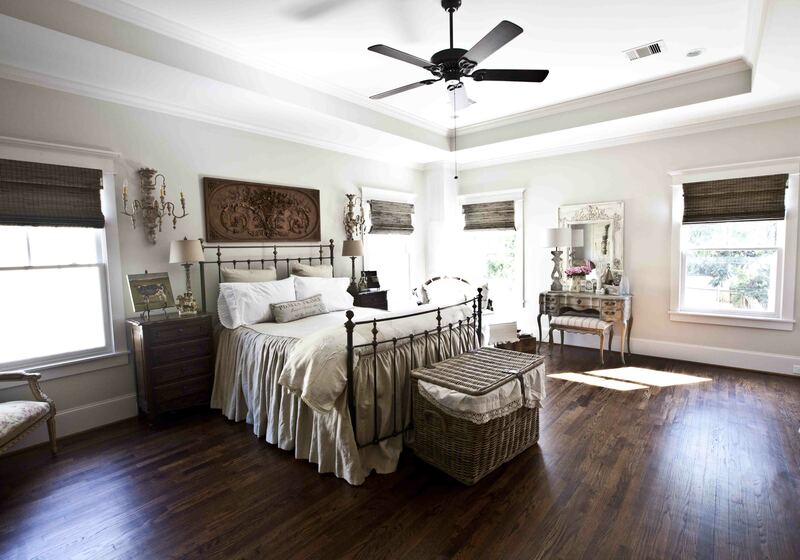 Love them at the foot of beds, for storage, etc. They add a lot to home décor. Enjoy your blog! Great inspiration, Anita! 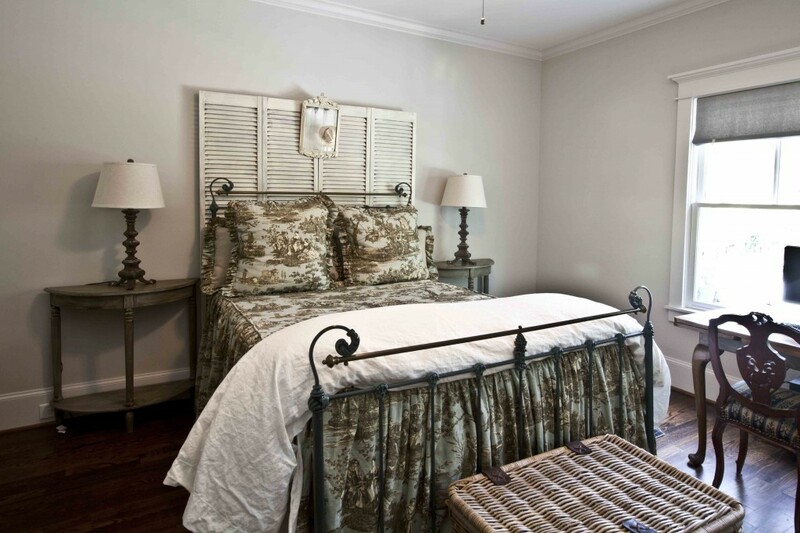 I love your idea of using baskets throughout your home. You have some beautiful baskets too. Love your post! You had me wondering how many baskets I use around my house . . . so I took walk and discovered that I use at least 2 baskets in every room. Lol. They’re a stylish way to store blankets, books, towels, games . . . I love your post about baskets, having grown up in Germany, baskets were always a part of my life. To this day I have many, many baskets. But would love to own some of the boxy ones like you have. Most of my baskets are the smaller, open handled types, and I don’t have a lot. Your article is great inspiration. I’m going to start looking more closely at sales. 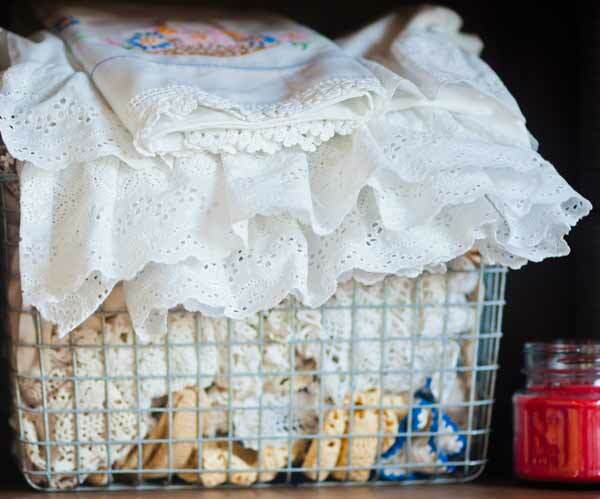 You have some of the most beautiful baskets Anita and love each and every way you use and display them! This isn’t a new idea, but one that I use everyday. I have two sets of stairs (each has 17 stairs). I have two baskets in the hallway where I put things that have to go up or downstairs. It makes the trip more efficient and they look nice. Are your baskets by the stairs the ones made to fit on the steps? I found these very helpful, and then decorative when I wished. I haven’t used the step baskets, but I can see how they would be great for storage. 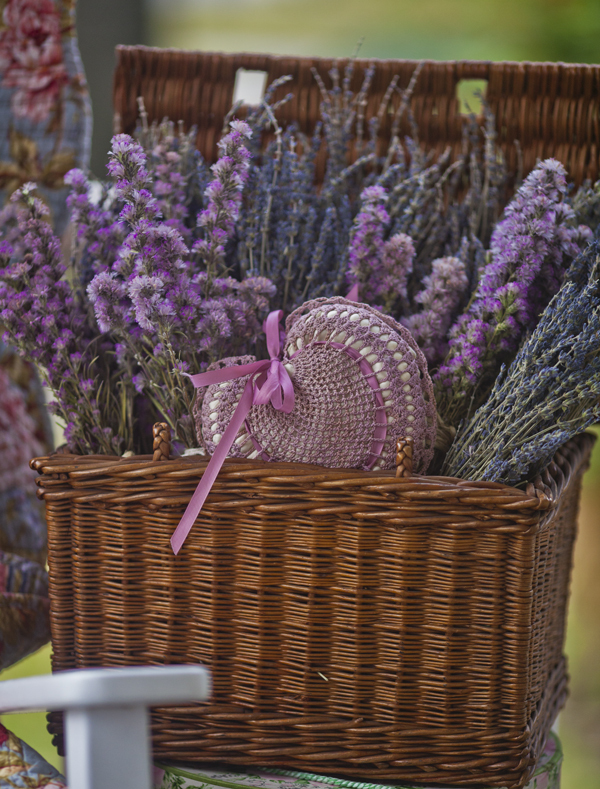 Anita, thanks for the great ideas on baskets – wonderful post. I do love baskets and have a lot that I don’t use. You have given me some ideas – thanks so much. Anita, love all of your beautiful baskets! I use baskets constantly. 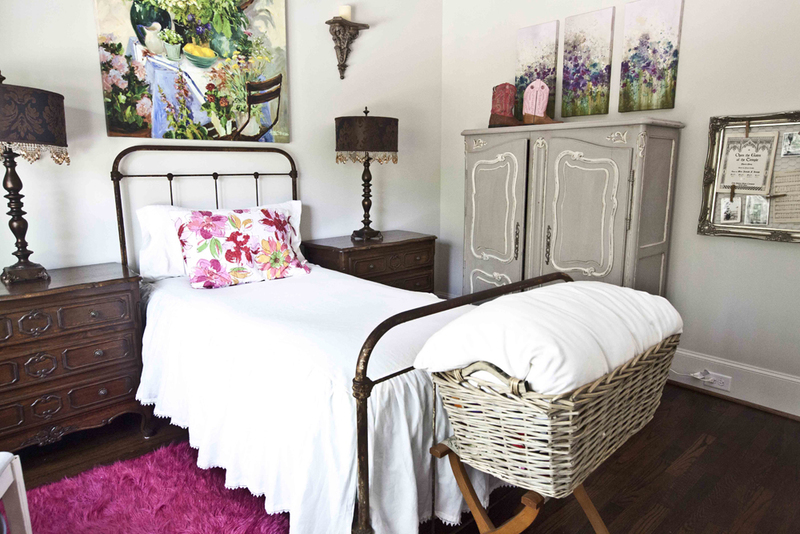 One of my favorite uses is a large basket I have in both upstairs and downstairs family rooms with rolled quilts. Handy and ready to pull out when you need a little something to cozy up in. I love your baskets and how you use them. Perhaps you might do us a favor and do a post on where you find baskets, especially the reproduction one which might be easier to find. I have always had a “thing” for cute baskets of all sizes. Currently I am using a large one to hold nintendo paddles and extra batteries. Right now I have been searching for something that will hold decorative pillows when people are sitting on the couches in our living room. Might be a sign that there are to many pillows. Thanks for sharing all these wonderful ideas. I love your antique wicker traveling basket with leather straps, and OH how I love the beautiful antique piece it is sitting on! Hope you have a good week Anita! What beautiful baskets! Love the way you use and display them…. now I wish I had purchased the huge basket I saw this morning while out shopping! Baskets are great and what a great post. I have a large narrow one in my guest room that perfectly hides a guest suitcase but at the moment it is full of bedding. It has leather straps to fasten it and I love it. I also have baskets below my Asian Wedding cabinet. I am also planning to buy some baskets for my home office I am currently renovating. I think a house can never have enough gorgeous rattan baskets. 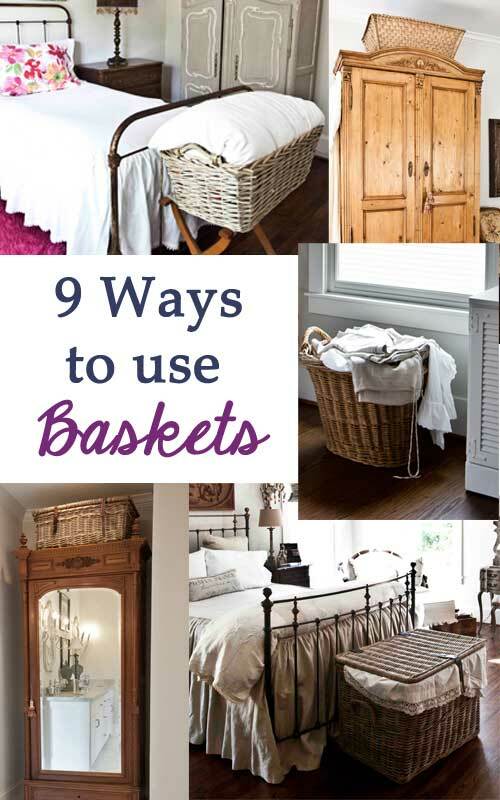 Great tips on how and where to use baskets!!! Most of my wicker ones are used to hold magazines in various places throughout our home. Wicker ones in Studio One hold fabric and ribbon. 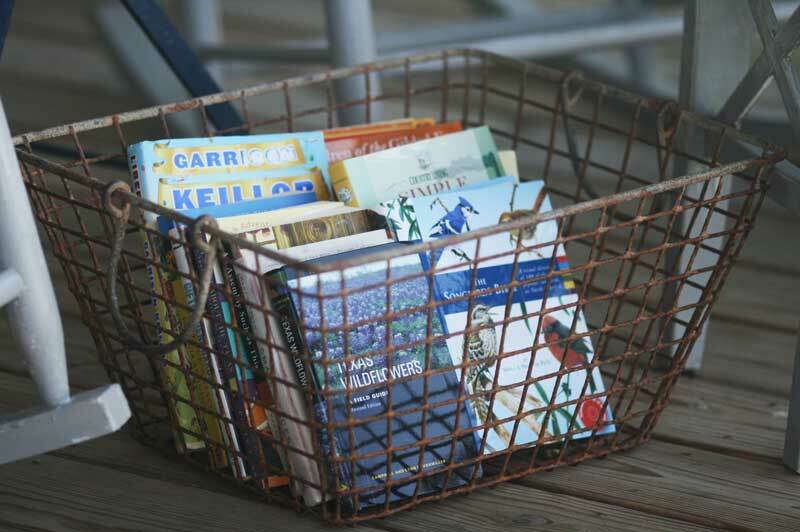 Wire baskets in my creative space hold Country French and Romantic Home Magazines. I took one cabinet door off in my Kitchen and now have two wicker baskets to hold those plastic food storage containers and their lids and kitchen “rag” cleaning towels! In the Living Room Entertainment Center, baskets hold CDs, DVDs, Mail~order catalogs and Telehone Directories! I guess you could say, I’m just a Basket Case!!! Beautiful baskets used very creatively. Thank you for sharing. Your blog inspires me daily. I truly think there is not one thing you do that I don’t like. Thank you so much for the time and effort you put into your blog. I so enjoy reading it. Funny how you commented on how the magazine photographers moved items. I used to be in awe of the homes in magazines. Then one day I decided to write a description of my home as if it was being described in a magazine. Gave me a whole new perspective. Instead of the cramped quarters of the bedroom they were instantly warm and cozy, efficient and cheery. Love all the baskets, I too love to use them in a variety of ways. Thanks for all your inspiration. Good point Ann! Sometimes a home works well for living, but isn’t set up well for camera angles. Excellent point!! I love using baskets. Thanks for the ideas. Baskets are one of my favorite storage methods. I happen to have more trunks for the rectangular floor storage but also love the light weight of a backet, expecially if going on furniture. One unusual basket I have is a woven picnic backpack with enclosed storage and an open cylinder for, I guess, a bottle of wine. I have antique sheet music enclosed that we use from time to time and use the cylinder for seasonal bouquets. I love it! My granddaughter is just starting to find her “style”. She uses an old basket of mine as a hamper in the bedroom. My love of baskets continues in her home. LOVE (again) your article, Anita~ And, we share the love of baskets…wooden, woven…hybrids with metals. I gather them all year and make gift baskets, too, to raffle for Suicide Prevention charities that locally are going towards prevention programs in our schools and nationally for research. Lining baskets with fabrics protects the baskets as well as the stored items, too. Basket remnants were even found in Egyptian pyramids! Enjoyed seeing your baskets and getting some ideas. I have always loved them and used them and now live in a small place where they not only can be decorative, but needed to store things as well. Crates, boxes, drawers, etc. and I am happy. 🙂 Thanks for sharing! Great ideas for the baskets. I realized I have small baskets but now will be looking for larger ones. 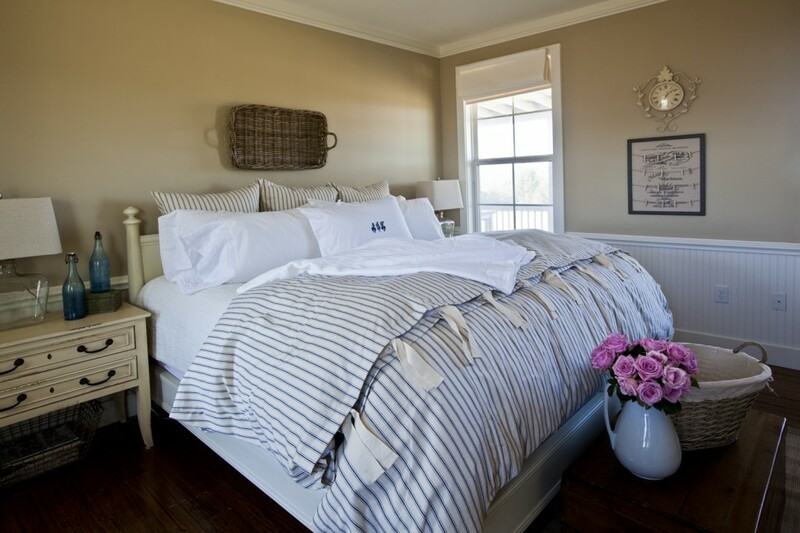 I will be looking for a large lidded basket for the foot of my bed…simply gorgeous!